When I started Posh in Progress in 2013, I made a list of about 100 things I hoped to accomplish. Near the top of that list was attending New York Fashion Week. Last week, nearly five years later, I was finally able to check that off my list. Why did it take me so long to attend fashion week? I think fear was holding me back. I held this belief that I wasn’t fashion-y enough to attend. Although I’ve always loved fashion and it’s one of the main reasons I started my blog, I’m not high fashion. Even if I am in my head, I’m just not that girl. I also don’t solely cover fashion. Yes, I talk about fashion on my blog every week, but it’s not my main focus. You know, kids and life also get in the way and take priority. Somehow not being fashion-y enough kept me from pursuing something I wanted. 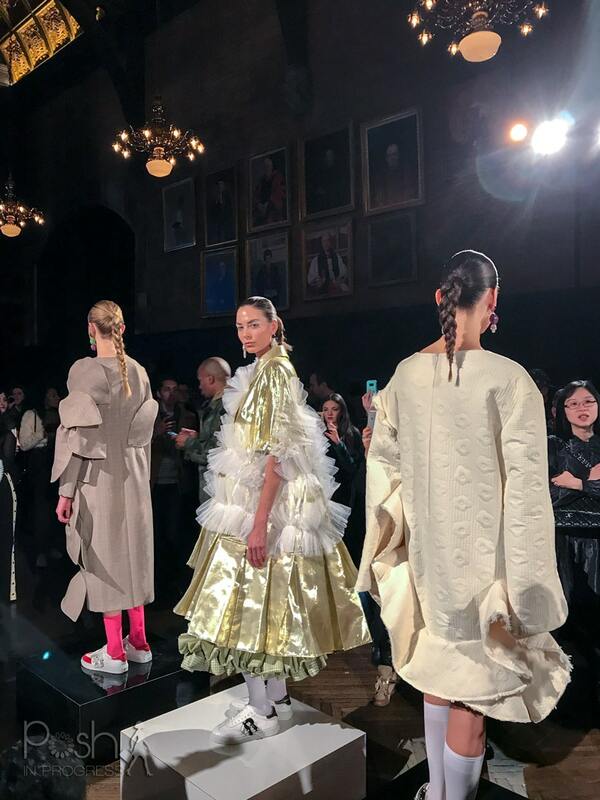 The other major reason I didn’t pursue New York Fashion Week sooner is because I wasn’t sure I would get into shows, get invites, and I was overwhelmed by that process. How do you actually get into shows? Well, I’ve got you covered. Now that I’ve been through the process. I wanted to share my experience with you. I found the whole prospect of attending so much more stressful and difficult than it actually ended up being. 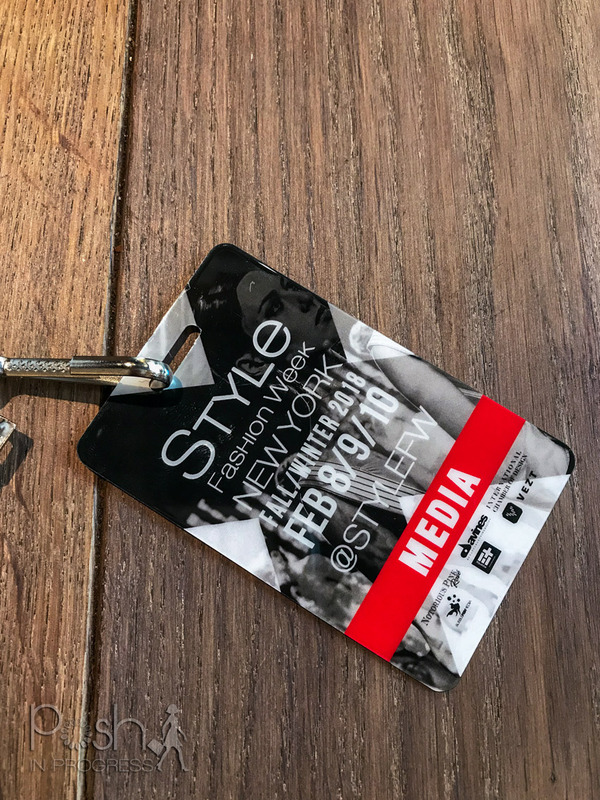 If you’re dying to attend New York Fashion Week like I was, I hope my experience can help you prepare and check it off your list too. I used this site almost exclusively. They had a full and regularly updated listing of shows. They provided links to shows that you could RSVP to directly, and they even included some PR/Press email addresses from time to time. Their schedule tab was very useful, but I didn’t use this site that much. This site is also useful for dates and the show schedule, but it directs you to the Fashion Week Online schedule. This process for me was the most time-consuming. 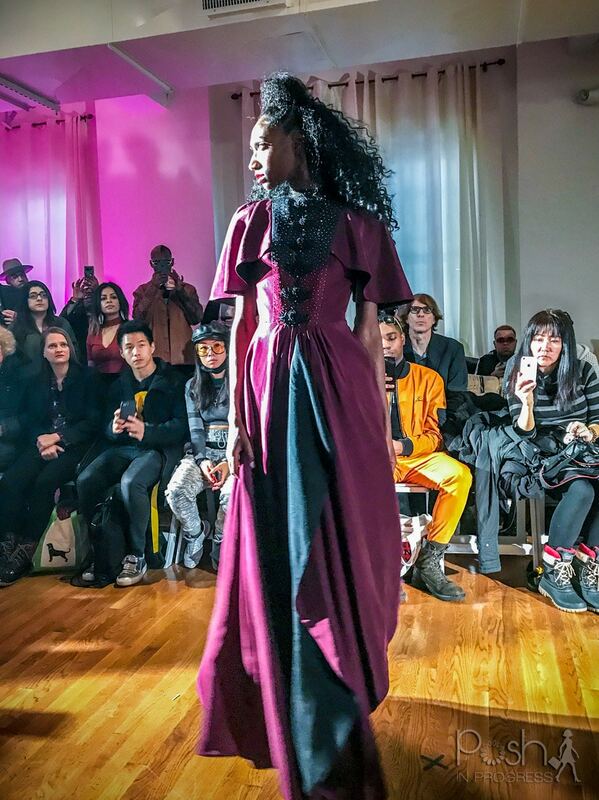 I used the various sites that showed the listing of all the designers who were going to show during fashion week and I started searching for their Press or PR contacts. It’s actually pretty easy to find most brands’ PR contacts, but it does take some time. Once I found a PR or Press contact’s email, I send a very basic email. They will receive hundreds of requests to attend shows, so keep it simple. I simply stated I was RSVPing for the show, that I would cover it on my blog and social media, and then I included my social handles and website in my signature line. Seriously, you don’t need to write a lot. Just keep it to one-two sentences and include your social handles/website so they know who you are. I probably sent out about 50-75 emails to different designers’ PR reps. I also was able to find other show invites via the websites I listed above. There are a lot of events on Eventbrite and there are also events through the GPS Radar app that you can request to attend directly through the app. I actually got seats at a few shows pretty last-minute simply by emailing through the app. The app is also really useful for keeping track of your shows and seat assignments. Many of the designers use this app for their shows, so I’d definitely suggest downloading it. The shows vary dramatically. Some of them are really small and intimate, while others are massive with loud music and live performances. There are traditional runway shows and there are also presentations, where models just stand on platforms. It is rather difficult to know which type of show you are going to until you get there, unless you can do some research on the venue to get a sense of the size of the space. Some of the shows are also extremely well organized, while others are pretty chaotic. The check-in process for one of the shows I attended was horrendous. They were so disorganized, couldn’t find my name, and were pretty rude about it. I pulled up the email they sent me, and then they were suddenly the nicest people in the world (I hate that fake stuff). There were other shows that were extremely well organized, with lots of staff on hand to do the check-in process, which was really smooth. My best advice is that you should be prepared for anything. You might get a seat (even if you’re not assigned one), and you might not. You might be in a very crowded space or you might have room to move around. One of the most surprising things for me was just how many parties and after-parties there are during fashion week. Even more surprising is that many of them had open bar – you heard me, open bar! I personally had the most fun at these parties because everyone gets a little loose when alcohol is on hand. I met some really fun people during these after-show parties and I’d say it was one of the best opportunities for networking. There are other events that happen during fashion week that I was able to attend. I was invited to attend the SIMPLY conference which was sponsored by NYLON, which was a great opportunity to meet some bloggers and brands. I also got to hear from some pretty well-known bloggers and youtubers, which was fun. A few companies also reached out to invite me to their showrooms. I went to the Eliza J showroom and got to see her new collection, which was absolutely stunning. Also, I attended a Women’s Wear Daily + Samsung event where I got to hear Narciso Rodriguez speak. I loved getting to hear directly from a famous designer about his 20+ year experience in the industry. He talked a lot about persistence and the creative process. It was really uplifting to hear him talk about never giving up on his passion. He also talked a lot about street style and how the casual, street wear is here to stay. I’m a loyal Marriott member (not sponsored, I just stay with them when I can), so I opted to stay by Central Park at the Essex House. The hotel was fantastic because it was right by several train stops. However, the majority of the shows were in Chelsea this year (in the past, they were at Bryant Park), so I wish I had stayed further downtown. I actually booked my hotel before I knew which shows I was attending. I wish I had waited to see my list of shows before I booked. Next time, I’ll wait. I would have been better off getting a place in Noho, Chelsea or Soho for convenience of getting to shows. I actually skipped a few shows because I trekked back up to my hotel and then didn’t feel like heading all the way downtown again. If you are going to attend Fashion Week in February, you need lots of big coats, pants, gloves, hats, scarves, and boots. I was not very smart when it comes to packing and I paid for it. I honestly planned to take taxis, ubers, or lyfts everywhere, so I wasn’t too worried about being cold. That was a major mistake. Even taking those modes of transportation, I had to stand outside and was freezing (i.e. waiting for my press pass to the Style Fashion Week shows). By the end of my wait, I could not feel my fingers. I spent a lot of time on the dresses I was going to wear (like this look). I also brought about 5 light-weight coats to wear over them. However, I didn’t bring any winter coats to wear on top of my leather, velvet and tweed jackets. Basically, I skipped the top layer altogether, which just wasn’t acceptable. I did manage to remember to pack a few scarves and gloves, but I didn’t have the right scarves to go with my jackets, so they sat in my hotel room. I also packed way too many tight and short dresses. Even with tights and boots, I was freezing. Next time, I would opt for many more pants options with boots, and I would also do even more layering. One of my blogger friends suggested I rent coats at Rent the Runway (they have a flagship store in NYC). I thought that was a fantastic idea, but I failed to actually follow-through, thinking I could get by with the coats I did bring. In hindsight, I wish I had spent more time thinking about my outer layer. 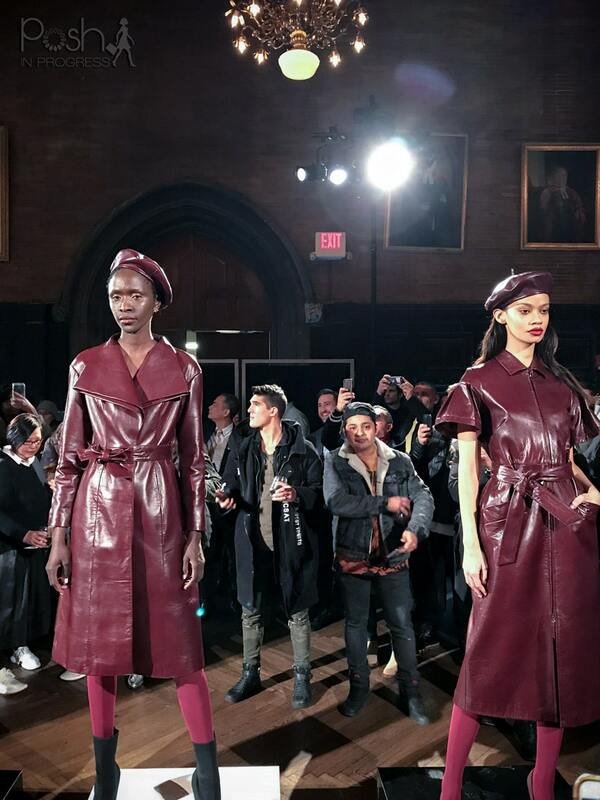 If I attend another February NYFW, I’m definitely going to concentrate on finding cool winter coats, or renting them for the week. Make sure you bring an umbrella. We didn’t have snow, but we had rain. I did see a lot of people wearing rain and even snow boots. I personally couldn’t do that, but I actually thought the girls styled them better than I expected. Also, I noticed quite a lot of people wearing jeans. I thought jeans were a no-no, but girls styled them with cute boots, fun fur jackets, and it actually worked. Next time, I’ll know I don’t need to get quite so dressy to feel like my looks work. Depending on where you stay will affect what transportation you take. I opted to use a combination of the subway system, taxis, ubers and lyfts. When I had time to kill, I used the car pool option in the ride sharing apps. When I didn’t have as much time or just needed to go a mile or less, I grabbed a taxi. In NYC, taxis are still everywhere, so it’s still a super fast, convenient, and slightly more expensive option. I also took ubers and lyfts if I didn’t mind waiting about 5 minutes for the car to show up. They do tend to be less expensive than taxis. The cheapest option, and sometimes even faster option, is to use the subway system. I would have done this even more than I did, but there’s the whole walking far in big shoes issue. Although I did wear comfortable boots part of the trip, I just didn’t feel like trekking the extra half mile to the train station. Overall, I had the most amazing time at New York Fashion week. I loved getting to see all the clothes, meeting new people, and experiencing the city during fashion week. The energy, the fashion, the people, it was all really great. I’m hesitant to say I’ll attend again in February, because the weather was pretty terrible. However, I definitely have great memories from my first NYFW and I can’t wait to go back in September to experience that one too.